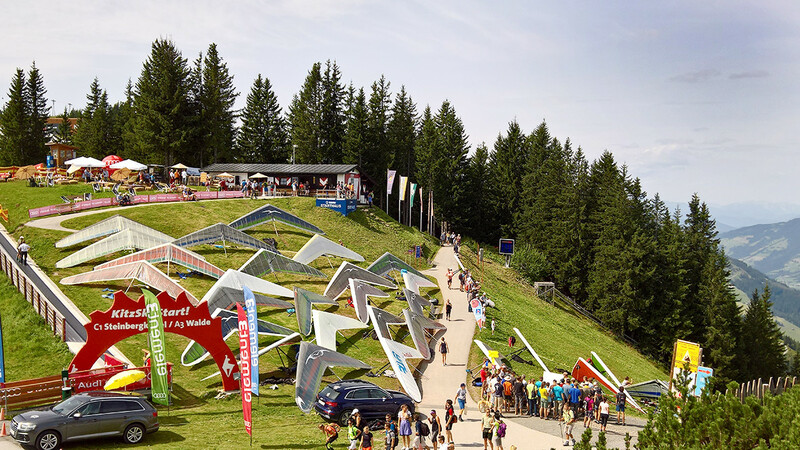 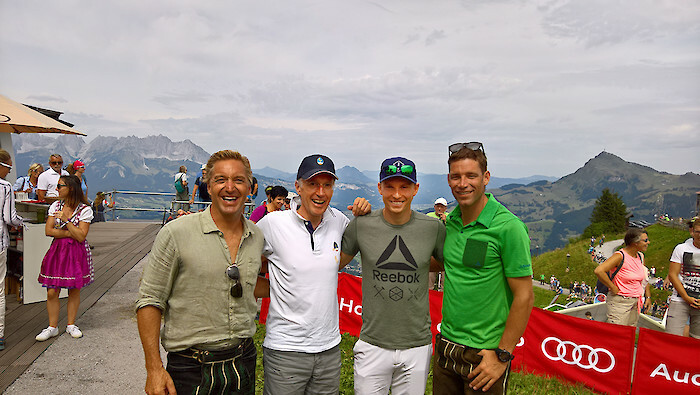 The Hahnenkamm was a hive of activity all over again on Sunday, 28th August. 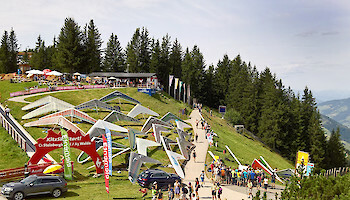 Readers of the “Kronenzeitung” newspaper met early morning to go on a hike of the Streif, hang-gliders elected their champion during the Austrian Open, and AUDI extended an invitation to a gourmet garden festival at the Start Hut, as part of their collaboration with the Bergbahn AG, which resulted in a surprise meeting of three Hahnenkamm winners. KSC-President, Michael Huber, was delighted to welcome Benjamin Raich with his wife, Marlis, Hans Knauss and Henrik Kristofferson with his girlfriend Tonje at the start of the Streif on the Hahnenkamm.